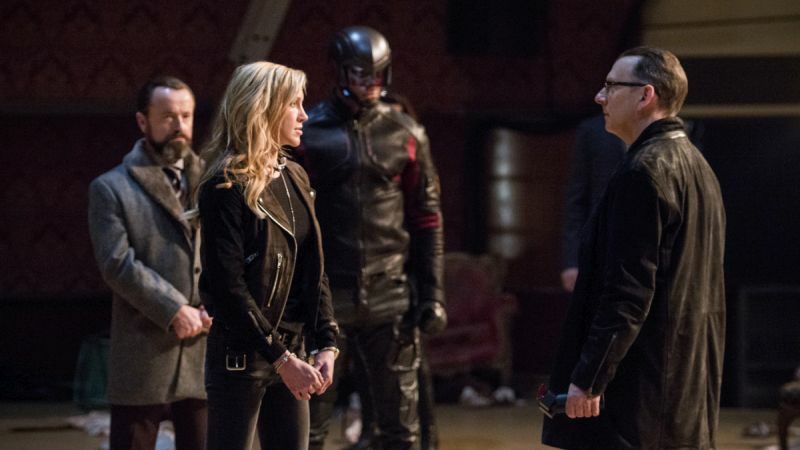 Arrow -- "The Devil's Greatest Trick" -- Image Number: AR613a_0024.jpg -- Pictured (L-R): Katie Cassidy as Laurel/Black Siren and Michael Emerson as Cayden James -- Photo: Diyah Pera/The CW -- ÃÂ© 2018 The CW Network, LLC. All Rights reserved. 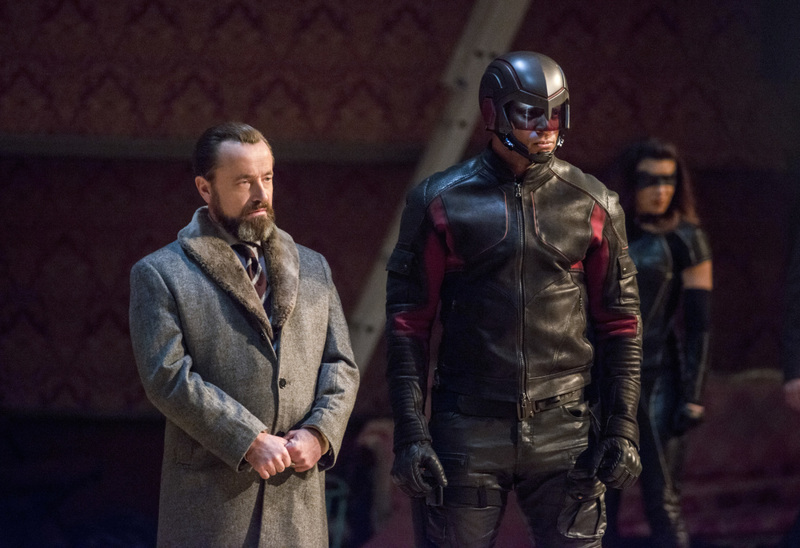 The CW has released the promo photos for this week’s episode of Arrow, which you can check out in the gallery below. JJ Makaro directed the episode, which was written by Sarah Tarkoff & Emilio Ortega Aldrich. Arrow stars Stephen Amell as Oliver Queen, David Ramsey as John Diggle, Willa Holland as Thea Queen, Emily Bett Rickards as Felicity Smoak, John Barrowman as Malcom Merlyn, with Paul Blackthorne as Detective Lance. Manu Bennett is back as Slade Wilson, aka Deathstroke, and his son, Joe Wilson, will be played by Liam Hall. Juliana Harkavy is playing Dinah Drake, David Nykl portrays Anatoly Knyazev, Michael Emerson is playing the big bad, Cayden James. Based on the DC characters, the series is executive produced by Greg Berlanti, Marc Guggenheim, Andrew Kreisberg, Wendy Mericle and Sarah Schechter. Arrow is produced by Bonanza Productions Inc. in association with Berlanti Productions and Warner Bros. Television.